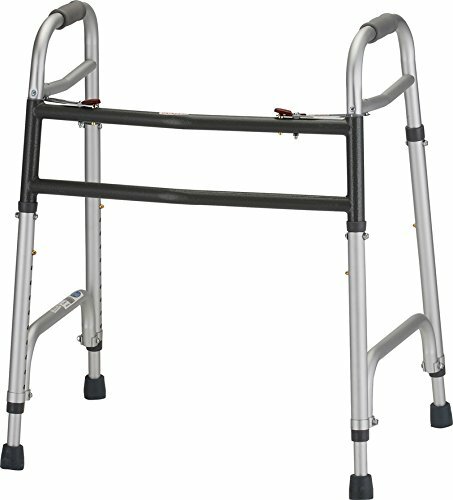 Folding Walker - This medical geriatric walker with wheels has a single button to fold. Weight capacity 250 pounds. This functional lightweight aluminum walker is adjustable in 1" increments.